ROCKINGHAM — The Pee Dee Post asked Karen McLean and the rest of the staff inside the Career Information Center at Richmond Senior High School to encourage students to apply for the inaugural PeeDeePost.com Community Scholarship. Despite the short notice — the scholarship was created on March 16 and students had only until mid-May to obtain complete transcripts, two letters of recommendation and complete an essay — nine students applied. They were very good students. From left, Nile Fisher, Jarod Ricks, Breanna McKinnon and Derek Wilderman put PeeDeePost.com’s Stephanie Spradlin in the middle of a scholarship presentation. The original idea was to award a single $500 scholarship but Stephanie Spradlin, social media administrator for PeeDeePost.com, acknowledged Thursday night while at the podium during the annual Academic Awards Banquet at Richmond Senior High School that there was simply no way to limit the award to only one student. So Spradlin presented Jarod Ricks, accepted for enrollment at UNC-Charlotte and offered hefty scholarships if he chooses Wingate University ($52,000) or Campbell University ($64,000), a certificate and a $500 scholarship. 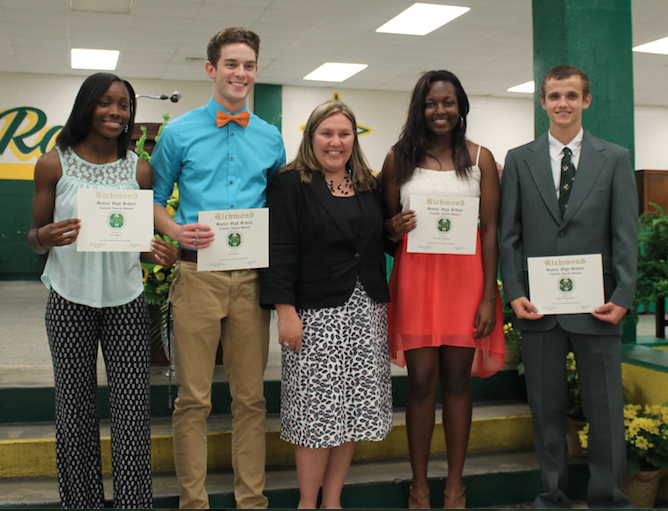 She then presented Nile Fisher, Derek Wilderman and Breanna McKinnon with $100 scholarships. Each scholarship is renewable if the students meet basic eligibility — such as remaining enrolled in college, pursuing a degree and staying off academic probation. There is a catch, however. The scholarships will be competitive for each of the next three years. That means Ricks, Fisher, Wilderman and McKinnon will vie for the top $500 scholarship with the others in the hunt for the lesser scholarships. Over the next four academic years, the total value of the scholarships can be up to $3,200. 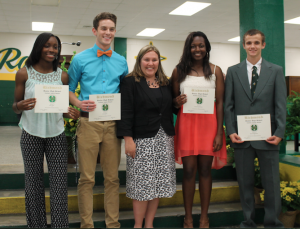 The Pee Dee Post Community Scholarship focused on students’ academic achievement, extracurricular participation and on- and off-campus community service activities. Each of the nine applicants submitted very impressive applications. Beginning this winter, The Pee Dee Post Community Scholarship is expected to be funded in part by a planned run-paddle-run event in Rockingham along Hitchcock Creek. In addition, the PDP’s photos are now made available for purchase. Proceeds from the sale of photos will be used to prop up the PeeDeePost.com scholarship fund. The goal is to increase the number of students and the dollar amount of each scholarship award in future years. Ricks noted he is a volunteer for the Place of Grace Rescue Mission through his church, as well as the Adopt-a-Highway program through the Raider Beta Club. He also helped organize the first Raider Fall Festival at school in the fall of 2014 that served as an outreach effort from the campus community to the general public. Ricks is a member of a host of school groups, including Future Business Leaders of America, International Drug-Free Youth, Interact Club, 3-D Club and the Cumberland Independent Winter Guard. Through late March, Ricks carried a weighted grade point average of 4.5463. ranking him 13th among 456 graduating seniors. Ricks has been a member of the Raider Marching Band since 2011 and served as clarinet section leader in 2013 and the color guard captain in 2014. Ricks was a junior marshal this time a year ago, a North Carolina Governor’s School nominee and won the 2014 Martin Luther King Jr. Celebration Committee’s essay contest. In his scholarship essay to The Pee Dee Post, Ricks wrote that he has “had a passion for being involve with my community” since starting high school. Nile Fisher plans to major in biology at the University of North Carolina at Chapel Hill and aspires to become a pediatrician. 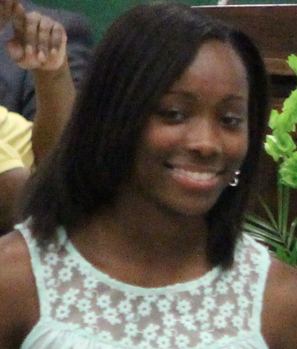 “I will settle for nothing less than success,” Fisher wrote in her scholarship essay. Fisher has a lengthy history of showing she’s willing to work hard to get where she wants to go. 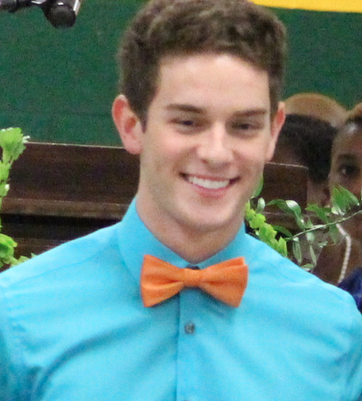 Fisher is the parliamentarian of the school Senate and is a member of the National Honor Society, Beta Club, Health Occupation Students of America, International Drug-Free Youth and more. She has logged volunteer time at Washington Street and Monroe Avenue elementary schools as well as Magnolia Gardens nursing home. Like Ricks, Fisher was a junior marshal in 2014 and also earned All-Conference honors on the soccer field for the Raiders. Fisher carries a weighted 4.5673 GPA and as of March 26 was ranked 11th among 456 fellow seniors. Breanna McKinnon is an aspiring nurse who plans to become a nurse while studying at East Carolina University in Greenville. Her goal is to purse a master’s degree in nursing. McKinnon referenced former Raider and current New Orleans Saints linebacker Dannell Ellerbe when setting goals for being a successful professional and giving back to her hometown. “I want to do something similar to that because my hometown is small and my family and I are pretty well known around her,” McKinnon shared. McKinnon has volunteer experience to jumpstart her notion of giving back, including at a soup kitchen, a local consignment shop, Habitat for Humanity and the Dannell Ellerbe football camp, among others. McKinnon is a multi-sport athlete for Richmond — softball, basktball and volleyball — and through Feb. 28 carried a 4.3704 weighted GPA, good for 22nd out of a 456. Derek Wilderman comes from a working-class family — his mother’s a teacher, his father a carpenter — and plans to pursue a degree in civil engineering. Wilderman plans to attend the University of North Carolina at Charlotte. Wilderman isn’t afraid of hard work. “Hard work gets you places in life, and I know that through the educational journey I have already taken and the journey I am about to embark on,” Wilderman wrote in his essay. Through March 23, Wilderman carried a 4.3317 weighted GPA, 23rd among 456 graduating seniors. 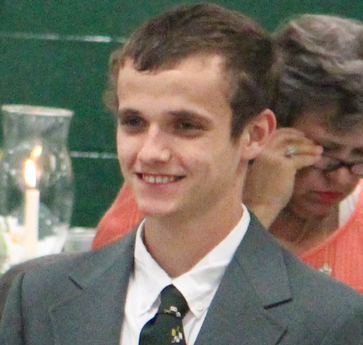 “Carrying a heavy AP course load, he shows a strong desire to learn by balancing school work, being a member of both the Technology Student Association and National Honor Scoity, and working after school,” RSHS chemistry and physics teacher Matthew D. Learn wrote in his letter of recommendation. Thank you for writing, The Count. The PDP will continue to be a reader-supported digital newspaper. That was the drive from the get-go and isn’t an element to be eliminated from the business plan anytime soon. As always, financial contributions to The Pee Dee Post are completely voluntary. The scholarships are, cumulative over four years, worth $3,200. This calendar year, however, the financial commitment is only $325. Thanks again for reading the article and taking the time to write. To sarcastically inply that the PDP is a “very profitable business” because it managed to do a good thing for the community and present a small (emphasis on small) scholarship is insulting to the paper, it’s readers, and yourself. No business can operate on air. The paper has asked for little; all the while continuing to provide more extensive coverage than the Richmond Journal, which you pay very dearly to receive. Yet you aren’t calling their billing system “begging”. Actually, it is more like “gouging”. By your comments, it is clear to me there is much you do not know. To clarify for your knowledge, the PDP does not sell sponsorships, it sells advertising. The PDP does not accept donations – such as to a charity – but the daily digital newspaper does accept voluntary contributions from PDP readers who see the value in the 1-year-old business. If you care to learn about the operations of the PDP, please call me at 910-331-4130 and arrange to meet with me at my office in downtown Rockingham. My guess is you won’t call and arrange to come in and talk with me, and that’s alright – that’s your choice. But the opportunity for you to form opinions based on fact, and not inaccurate data and assumptions, is there.